Explore the romantic Bordeaux wine region of France with master photographer Harold Davis. Stop at tiny medieval villages to photograph ancient buildings and visit one of the world’s centers of viticulture at Saint Emilion. Enjoy the fine wines and fabulous cuisine of southwestern France as you travel with Harold Davis on this nine day photo adventure (April 22-30, 2017)! Photograph the wonders of Bordeaux, Perigord, and the Dordogne with Harold as your photographic guide along the way. If you’ve ever wanted to visit the southwest of France with a small group of compatible photographers, then this is the time! To find out more about this photographic adventure, click here. There is very limited space availability. To reserve one of the last remaining spots, please send us an email right away, and click here for the Trip Reservation Form. Please let us know if you have any questions! Click here for Harold’s calendar of Workshops & Events. I’m taking a break from leading workshops, teaching, writing books, and making prints in October to recharge my batteries, and to photograph in some very special Italian locations in conjunction with some of my European photography students who have become friends over the years. One of the purposes of my trip is to scout locations in the Dolomites and the lake district of Lombardy that might become a future base for workshops. I’ll also be photographing in Tuscany, and in Rome. Please consider signing up for one of my post-October workshops now, as places do go quickly. I pride myself on giving individual attention to each participant, and many of my workshops provide unique information that cannot be learned anywhere else—in some cases because I am the inventor of the workflows, processes, and techniques involved. You’ll find my calendar for the remainder of 2016 and the first half of 2017 below. First let me tell you a little more about some of these workshop opportunities! We are very excited about two of our workshops scheduled for November, 2016. The first is Advanced LAB Color Seminar on Saturday November 12, intended for those with some Photoshop already under their belt who want to learn about the stunning creative possibilities inherent in LAB, the weirdest color space. There is no one else who teaches this material, and it is incredibly powerful! Black & White in San Francisco, the weekend of November 19-20, is one part field photography, and one part classroom instruction in creative black and white post-production. I’ll be demonstrating some of the techniques explained and developed for my new book, The Photographer’s Black & White Handbook: Making and Processing Stunning Digital Black and White Photos from Monacelli Press. December, 2016 brings a Photographing Waves Workshop on Point Reyes under the auspices of Point Reyes Field Seminars. It is my seventh consecutive year leading this interesting workshop that teaches how to use shutter speed in the classroom and field in conjunction with the motion of the great Pacific waves themselves. 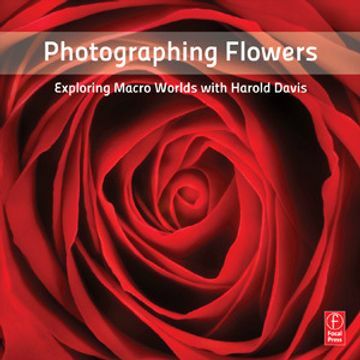 I’ll also be leading a session of Photographing Flowers for Transparency here in Berkeley in December. While this session is fully enrolled, if you are interested, the March 2017 session of Photographing Flowers for Transparency is just starting to fill up, and there are still ample places. If flower photography interests you, please keep in mind the Photographing Flowers Masterclass scheduled for June, 2017. Note that admission is by portfolio review, and that attendance at a session of Photographing Flowers for Transparency (or comparable experience and skill) is a perquisite. Finally, please note that the early-bird discount for the January session of From iPhone to Art ends shortly, at the end of this month. Advanced LAB Color Seminar—Saturday, November 12, 2016; click here for details and registration. Black & White in San Francisco: A Weekend Workshop with Harold Davis—November 19-20, 2016, click here for registration and information. Photographing Flowers for Transparency, Weekend Workshop in Berkeley, CA, December 3-4, 2016; click here for details and registration (workshop full). Photographing Waves on Point Reyes, Saturday December 10, full-day workshop under the auspices of Point Reyes Field Seminars. Click here for registration and information. Tuesday, December 13, 2016—Free webinar with Harold Davis, sponsored by Topaz Labs, more information and registration link to come. From iPhone to Art: Weekend iPhoneography Workshop—click here for details and registration, January 28-29, 2017 (early-bird discount ends September 20, 2016). Photographing Flowers for Transparency, Weekend Workshop in Berkeley, CA, March 25-26, 2017; click here for details and registration. Explore Bordeaux, Perigord, and the Dordogne with Harold Davis—Small group Destination Photography Workshop to Romantic Aquitaine. April 22-30, 2017. This an exclusive, very small photography tour with only a few places left. Click here for information and reservation form. Malta: May 6-7, 2017—Weekend workshop sponsored by the Malta Photographic Society. Flower Photography Intensive: 4-Day Masterclass in Flower Photography—click here for details and registration, 4-day workshop in Berkeley, CA., June 22-25, 2017. October, 2017: Small group destination photo workshop with destination TBD; details to come; please send us an email to be added to the interest list. Sitting in one of the many doctor’s consultation rooms I’ve visited with Phyllis in the past year, I noticed a large vitrine displaying antique medicine bottles. Since my iPhone is the camera I always have with me, I asked the good doctor for permission to photograph his collection. To learn more about photographing and processing images on your iPhone, please consider my iPhone to Art Weekend Workshop in January 2017 (early-bird discount applies through the end of the month). Eons ago, when we first moved to California, we bought our house. Built in 1924, we bought it from the sixty-something kids of the original owners, the mom having recently passed away. Maintenance and yard work had been neglected for decades. This gave me the opportunity to start fresh with the garden. In the case of the somewhat shriveled and definitely neglected bougainvillea vine I bought at Home Depot, Nietzsche definitely had a point. I’ve neglected it in the twenty years since I planted it at the southwest corner of our house, and our only concern has been to prune it back when it threatens to overrun the entire neighborhood. To make this image, I clipped a stem from the bougainvillea, brought it inside to photograph it on my light box, and converted the result to LAB color for manipulations, finally converting the image back to RGB to create the master file. I have some new images in my Multple Exposures series, photographed in collaboration with the beautiful and intelligent model Katje Gee. The early-bird registration discount for our weekend workshop From iPhone to Art: The Art of IPhoneography ends soon (on September 30, 2016). We still have some space left in this workshop. If you were considering registering, why not take advantage of this discount, and avoid the risk of being closed out. Full workshop details follow. Registration: Click here for registration. Tuition: $645 until September 30, 2016 (early-bird special); $695 thereafter. Registration: Click here for registration. Once on the Meetup website, RSVP YES, and pay the tuition via Paypal (using a credit card). Alternatively, send us an email that you’d like to register, and either mail us a check for the tuition amount, or we can email you a Paypal invoice for the tuition that can be paid via credit card. Note that Meetup attendance count may not reflect actual workshop enrollment. It was great fun to photograph it on my light box, process it for translucency to a white background, and add it in Photoshop to a scanned paper background. Related story and some images: Persistence of Personal Vision. This is a succulent from our front porch. I brought it inside, and photographed it straight down on a black velvet background. My thought was that it looked rounded like a globe or planet. I used my 55mm f/1.4 Zeiss Otus lens at 1/6 of a second and f/16 at ISO 64 with the camera on a tripod. I cropped to create a square image in post-production. The version below is an L-channel inversion of the original image, using LAB color. I’ll be leading a session of Get Your Camera Off Auto here in Berkeley, California this Saturday—so there are only a few days left to enroll. This is the perfect workshop if you are new to photography and want to get the concepts and controls on your camera right in the first place, or if you are a more experienced photographer wanting a refresher in the core creative photographic ideas. The session is currently a little light on enrollment—which is good for you to get the maximum individual attention. I do not plan to schedule another session of Get Your Camera Off Auto until the autumn of next year at the earliest. Please also note two workshops scheduled for November: Advanced LAB Color Seminar on Saturday November 12, intended for those with some Photoshop already under their belt who want to learn about the stunning creative possibilities inherent in LAB, the weirdest color space; and Black & White in San Francisco, the weekend of November 19-20. Black & White in San Francisco is one part field photography, and one part classroom instruction in creative black and white post-production. I’ll be demonstrating some of the techniques explained and developed for my new book, The Photographer’s Black & White Handbook: Making and Processing Stunning Digital Black and White Photos from Monacelli Press. Also note my free webinar coming up on Tuesday September 20 sponsored by Topaz Labs, A Touch of Art with Harold Davis and Topaz. Have you always wanted to take fantastic photos, but somehow they never seem to come out as well as you see them in your mind’s eye? By leaving their camera in one of the programmed automatic modes many photographers fail to realize their full creative potential. At the same time, if you don’t shoot manually you won’t learn the basic concepts of photography. In this intensive one-day workshop you will learn all you need to know to successfully support your creative vision by using your camera to its full potential. Besides presentations from award-winning master photographer Harold Davis, this workshop uses hands-on exercises to “cement-in” the concepts you will learn. What to bring: Your camera, camera manual, tripod (if you have one), and a sense of fun and wonder! Registration: Click here for information and registration on Meetup! So please bring your camera, camera manual, and tripod (if you have one). If you’ve been enjoying shooting digital photos, but don’t really understand the underlying photographic concepts or what the camera settings do this workshop is a fun way to get quickly up to speed. 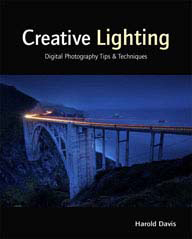 Perhaps you are used to shooting film and want to get up to speed on the concepts of digital photography. Then this intensive “Digital Photography 101” workshop may be for you. Intermediate digital photographers may also be interested in this workshop as an easy way to help them reinforce and remember what they’ve previously learned. Two new tote bags have been added to the Harold Davis Vida Collection. The Geostationary Orbit and Edge of Night tote bags are made in California. Each retails for $55.00. This farmhouse down east in Maine struck me as quintessentially chic-shabby, or in Lewis Caroll’s turn of phrase, “sweetly picturesque in rags.” Not that there are any rags in view, but clearly this once somewhat grand structure was a little worse for time and weather. I processed the image to make it look almost like a photo taken on a stormy night (it was in fact a bright and humid day! ), and then painted in the second-story window, and added a faint glow to the car headlights—moving from Lewis Carroll to Steven King country. Exposure data: 58mm, 1/1250 of a second at f/8 and ISO 250, handheld. I’ve really, really wanted to create textiles from some of my floral images, so I am pleased and excited to show the Harold Davis collection of scarves and wraps (and one or two blouses) on Vida. Vida contributes to world literacy programs, and the scarves are made of a luxurious cashmere-silk blend. If you order now, these custom-made designs will be ready in time for the holidays. Also, there’s a $25 gift certificate in it for the first ten purchasers, so why not check out my collection today? Click here to shop the Harold Davis Textile Collection on Vida! The Webinar will be live on Tuesday, September 20, 2016 at 2:00 PM – 3:00 PM PDT. Click here to register. Registration is completely free, but seating is limited and Harold’s presentations are always in demand—so don’t wait to register. This is an image of a stone tower pigeon coup in the Lot River valley in the southwest of France. I photographed it while staying at the Mas de Garrigue on a foggy morning, through a screen window for even more diffusion. Pigeons were esteemed in rural French farming for their ability to fertilize, and their value was signified by the elaborate structures built for them, such as this elaborate pigeon-home tower. I’ll be leading another small group of photographers to the southwest of France in April, 2017 (click here for more info). While we won’t be visiting this precise location, we will find many interesting and unique ancient structures in rural villages and small towns.